A friend and his wife just celebrated the birth of their first child – a boy. I made up this card to commemorate the event. I was in a rush to get this in the mail so I took the photo outside in natural light, instead of setting up my light box, hence the shadows. Oh well, you get a better idea of the 3D elements that way. I love the Kure baby bottle punch I used in each corner, I'd been waiting for just the right card to use it. 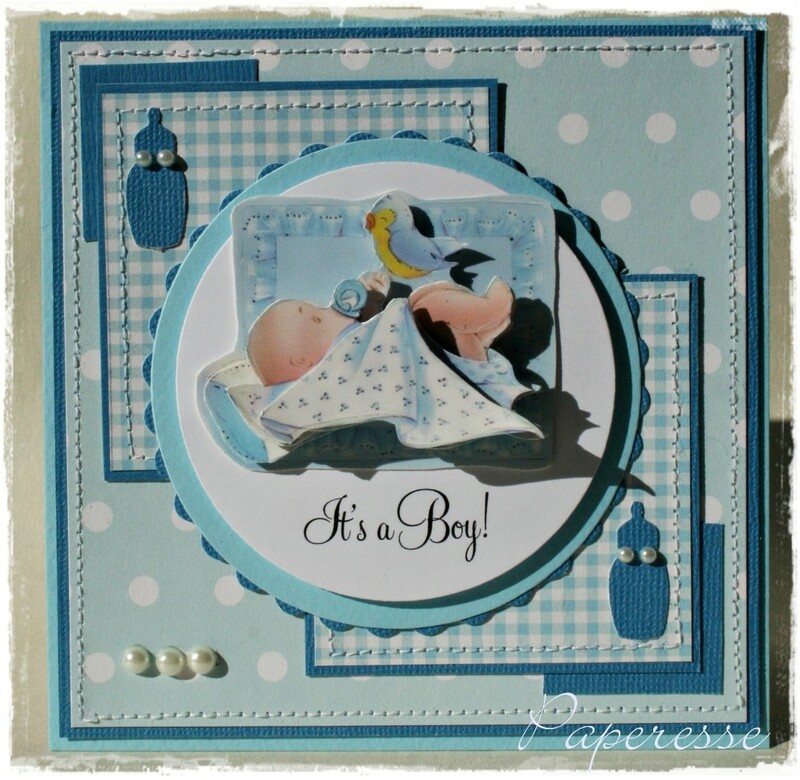 This darling baby card by Jackie Pedro was my inspiration. Paper - G. Lalo cardstock, Folia, Mahé Bleu Gris. Tbzkaart 3D image, Artoz pearls, Artemio dies, Kure baby bottle punch.